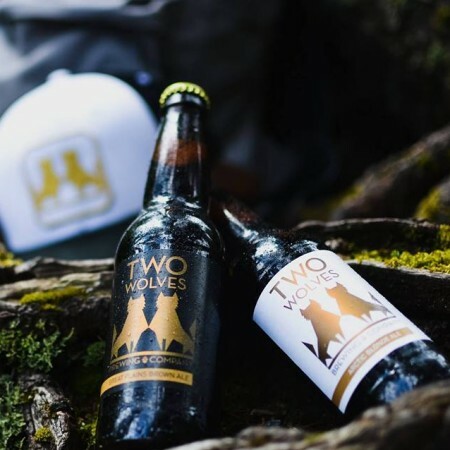 VANCOUVER, BC – A new brewing company focused on “well-balanced, smooth and easy to drink” beers has released its first two brands in British Columbia. I wanted to develop a brewery that was focused on what the everyday consumer wanted, which was really good, uncomplicated beer. We also wanted to develop a brand that encompassed our love of the outdoors and all things Canadian. In today’s beer market, many companies are looking for a competitive advantage through new flavour profiles and nontraditional ingredients. We have chosen a different path by aiming to appeal to the masses, both in taste and in their love of the outdoors. Our light brew, Two Wolves Arctic Blonde Ale (5.5% abv, 16 IBU) is an approachable, easy- drinking beer that is visually appealing and has no dominating malt or hop characteristics. Rounded and smooth, it’s a Canadian classic – just a no frills beer with great taste and a clean finish. Our dark brew, Two Wolves Great Plains Brown Ale (5.5% abv, 18 IBU) is a well-balanced beer with a deep copper colour and aromas of roasted malt, cocoa and caramel. This highly engaging beer is medium bodied and bright with a high carbonation and pairs well with most foods. Two Wolves beers are being produced at Factory Brewing, a recently opened facility in Vancouver that is dedicated to contract brewing, and are available now at select liquor stores throughout the province. For more details, see the Two Wolves Brewing website.